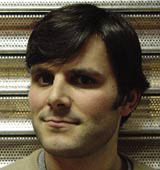 Lisa Gillow, graphic designer at The Guide Dogs for the Blind Association, has created the label for a co-branded beer that will raise 20p for the charity on every bottle sold. Lisa Gillow, graphic designer at The Guide Dogs for the Blind Association, has created the label for a co-branded beer that will raise 20p for the charity on every bottle sold. 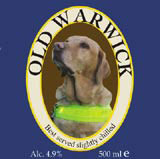 Old Warwick, featuring an image of a retired guide dog, is brewed by the Warwickshire Beer Company, based in Cubbington.